A few weeks ago, food poisoning left you sick as a dog, and you had to miss work for days because of a fever and diarrhea. You’re finally back in action, but you’re still experiencing some bizarre symptoms. Your joints are sore, even though you haven’t done anything strenuous. You feel like you’re too young for wear-and-tear arthritis. What you might have is something called reactive arthritis. As its name suggests, reactive arthritis is a condition that happens in reaction to something — in this case, an infection. Reactive arthritis is triggered by bacterial infection, but it’s separate from that initial infection itself, which appears in another part of the body, says Isabelle Amigues, MD, rheumatologist at National Jewish Health. 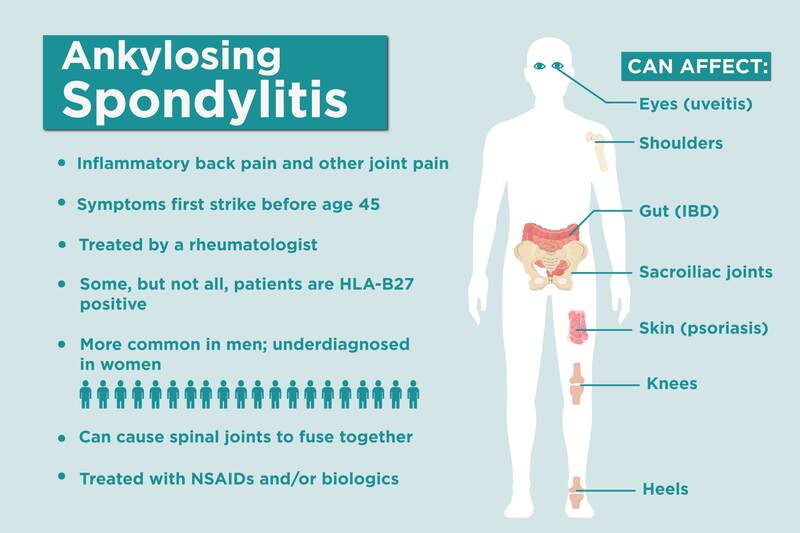 Previously known as Reiter’s syndrome, reactive arthritis falls under the umbrella of a type of arthritis known as spondyloarthropathy — a family of inflammatory rheumatic diseases that cause arthritis. In addition to reactive arthritis, other kinds of spondyloarthritis include ankylosing spondylitis, psoriatic arthritis, and peripheral spondyloarthritis. Joints: Most of the time, patients experience a sudden onset of pain in the knees, ankles, and feet, though inflammation can also appear in other joints, like the lower back. Eyes: Reactive arthritis often involves conjunctivitis or uveitis, two types of eye inflammation that make the eyes red, watery, and irritated. Urethra: Inflammation of the urethra (urethritis) can make peeing painful and increase the urge to use the bathroom. Along with those symptoms, people with reactive arthritis might also experience swollen fingers and toes, rash, or mouth ulcers. Reactive arthritis starts with an infection from such bacteria as Campylobacter, Chlamydia, Salmonella, Shigella, or Yersinia, which are typically either sexually transmitted or digested from food. For reasons that doctors don’t yet understand, some people are predisposed to develop arthritis in reaction to those infections, and the joint pain lasts after the infection clears. “There is general suggestion that the diseases [like reactive arthritis] are triggered in some cases by microorganisms, perhaps that live in our guts or microbiome, that may trigger this immunologic reaction, leading to this inflammatory disease,” says Dr. Davis. 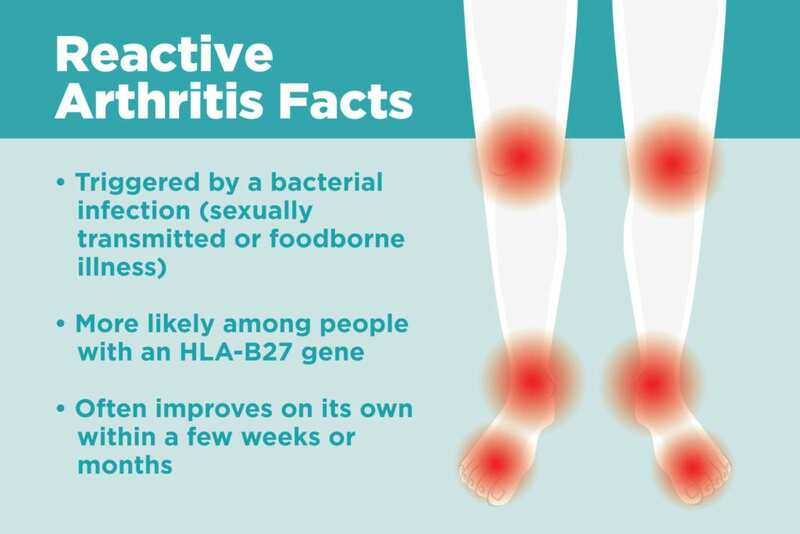 Genetics seem to be one factor, with reactive arthritis five times more common in people with the HLA-B27 genetic marker than in the general population. Reactive arthritis is most common in adults aged 20 to 40. Men are more likely to have reactive arthritis associated with a sexually transmitted infection, but men and women are equally affected in gastrointestinal-related cases. Reactive arthritis can mimic other types of spondyloarthropathy, including peripheral spondyloarthritis and psoriatic arthritis, says Dr. Davis. All three tend to affect the lower limbs, are associated with the HLA-B27 gene, and could involve a symptom known as sausage digits. Read about other psoriatic arthritis symptoms here. The defining factor for reactive arthritis tends to be the signs of infection. “It’s hard to call it reactive arthritis with an absence of clear history,” says Dr. Davis. Doctors won’t necessarily rule out reactive arthritis if there’s no sign of triggering bacteria (the arthritis sticks around longer than the infection), but involvement of the eye or urethra tend to point to reactive arthritis, says Dr. Amigues. In addition to discussing how you feel and checking your joints and other outward symptoms, doctors might order blood or urine tests to check for signs of bacterial infection, though sometimes the bacteria aren’t present anymore by the time patients see a rheumatologist for reactive arthritis symptoms. A blood test (such as for C-reactive protein or sedimentation rate) can also reveal signs of inflammation, show whether the HLA-B27 gene is present (though not everyone with reactive arthritis has this gene), and rule out other conditions by testing for antibodies associated with similar diseases like rheumatoid arthritis or lupus. Rheumatologists might also test the fluid around the joints to check inflammation and to rule out other types of infection. In some cases, a doctor might also order X-rays to confirm diagnosis, looking for things like inflammation in the membrane around a joint or new bone formation, and to rule out other joint conditions. Even though reactive arthritis is triggered by infection, antibiotics won’t help the joint pain, says Dr. Amigues. “It won’t work. Reactive arthritis takes its own life,” she says. 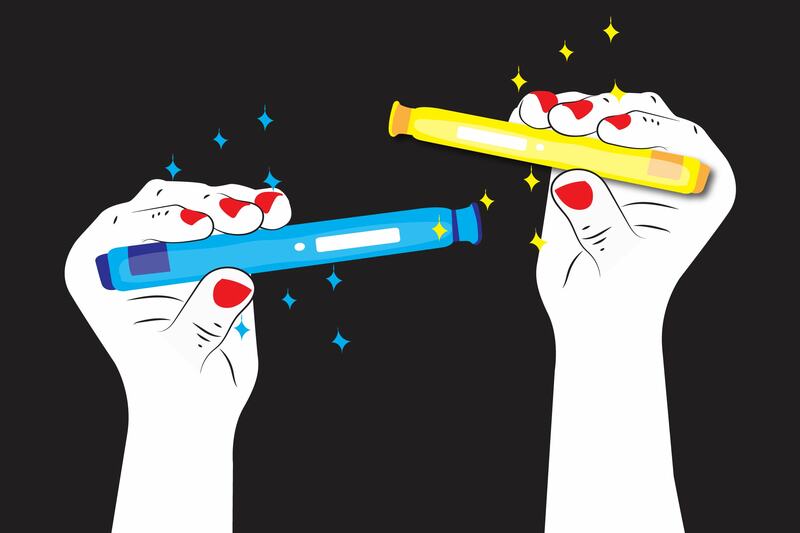 There are no approved treatments for reactive arthritis, but that doesn’t mean that patients can’t find relief. Non-steroidal anti-inflammatory drugs (NSAIDs) are the first line of treatment, and most of the time reactive arthritis will go away within a few weeks or months. If it doesn’t ease up and turns to a more chronic condition, some doctors will prescribe other off-label drugs like disease-modifying antirheumatic drugs (DMARDs) or TNF inhibitors, says Dr. Davis.